Ulysse is one of Greek mythology’s greatest heroes. Strong, crafty, audacious and intelligent, he relies on his talents to brave the imminent dangers that punctuate his journey. 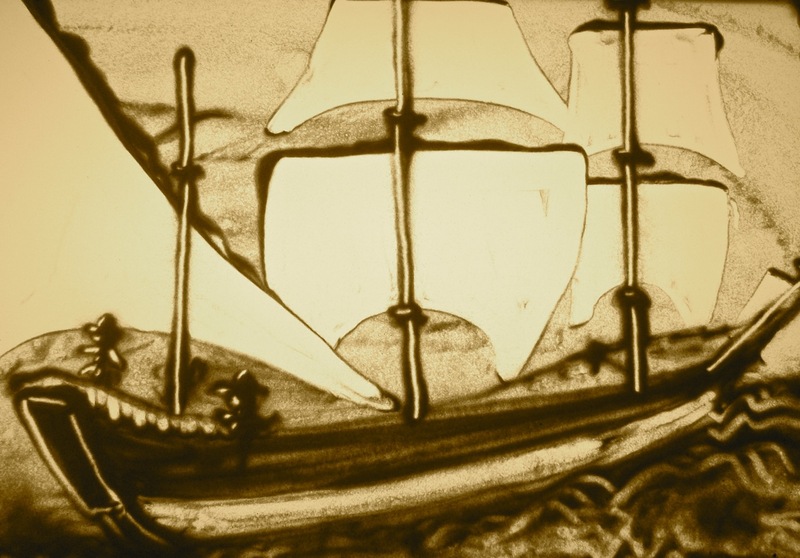 This musical odyssey, inspired by Homer and adapted by Suzanne De Serres, is interpreted on ancient and traditional instruments and, for the audience’s visual pleasure, illustrated in performance through live sand drawing. It is an adventure full of twists and turns, from the strait of Gibraltar to Turkey, by way of Sicily, the Greek Isles and the African coast. Suzanne De Serres, author, story teller, flogera, gemshorn, recorder, dulciane; Seán Dagher, cittern, mandoline, lyre; Andrew Wells-Oberegger, percussion, santour, oud, saz, bagpipe; Marie-Linda Bluteau, live sand drawing. Saturday, March 14, 2015, 2 p.m.
Sunday, March 15, 2015, 2 p.m.